Pellegrini - confirmed + Maresca? 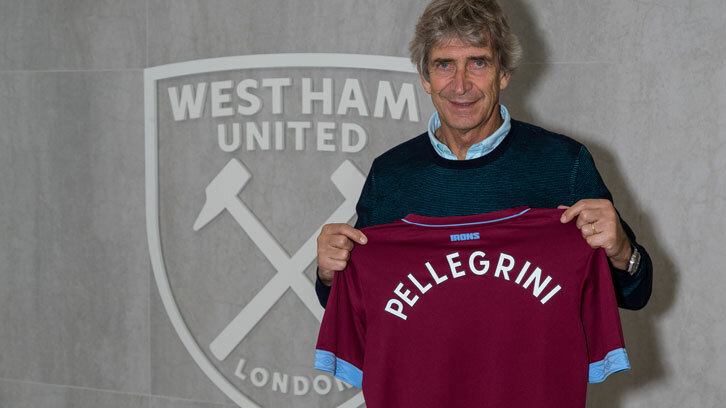 West Ham United are delighted to confirm the appointment of Manuel Pellegrini as the Club’s new First Team Manager. The former Villarreal, Real Madrid, Malaga and Manchester City boss – a Premier League title winner and Champions League semi-finalist – has signed a three-year contract at London Stadium after leaving Chinese Super League club Hebei China Fortune. 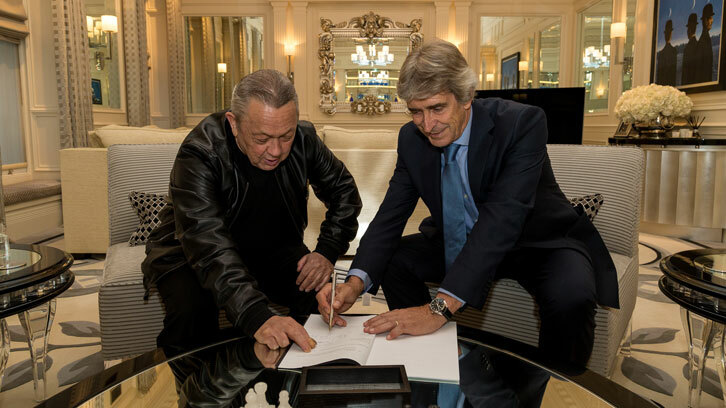 Joint-Chairman David Sullivan said: “I am delighted to welcome Manuel Pellegrini to West Ham United. He is one of the world’s most respected football coaches and we look forward to working with him. “It was important that we appointed someone with knowledge and experience of the Premier League, who already has an understanding – not only of the teams and players we face – but of West Ham United and our ambitions. “Manuel brings a reputation for attacking football and getting the best out of his players. We believe he will attract new talent to the London Stadium as well as improving the current squad. DS hurriedly covers up the bit about 'sell to buy'. “Above all, he is a winner, who knows what it takes to succeed at the highest level and is driven to continue that success. Manuel is the first West Ham United manager to have a Premier League title on his CV, and we believe that his experience, quality and proven record of taking teams forward quickly will ensure that he is successful here. “We have listened to fans who asked us to be ambitious. We hope they agree it is an exciting appointment. In a magnificent debut campaign at the Etihad Stadium in 2013/14, Pellegrini led City to Premier League glory, becoming the first coach from outside of Europe to win the title, and also lifted the League Cup in the same season. City finished that campaign having scored 151 goals in all competitions – still an English record. Pellegrini won another League Cup in his final season in Manchester, before making way for Guardiola in the summer of 2016. For the past two years, Pellegrini has been in charge of Chinese Super League club Hebei China Fortune, but recently stated his strong motivation to return to the Premier League if the right opportunity came along. The 64-year-old’s managerial career stretches back 30 years to his early days coaching in his native Chile and then Argentina, where he managed the mighty River Plate in 2002/03, before heading to Europe a year later. In his first season in Spain with Villarreal, he led the club to Champions League qualification after finishing third in La Liga, and repeated the feat in his first full year with Malaga in 2012 – reaching the competition for the first time in their history. Now, the Santiago-born coach’s only focus is on improving West Ham’s standing in the Premier League – a competition he labelled the ‘best in the world’. "I am excited about this project. My mentality is always to have a winning mentality and I will hope that I can repeat here what I did with all my clubs here in Europe, where I have always arrived in European competition. “I know that this league is very good and it’s not easy to do it, but I think that working all together with the owners, the technical staff and the fans, we have an important power and can think about reaching important targets for the season. Former midfielder Enzo Maresca will leave the Sevilla coaching staff to join Manuel Pellegrini’s coaching setup at West Ham United, say reports. The Chilean today signed a three-year contract to replace David Moyes as Hammers boss, having left Hebei China Fortune. According to Sky Italia, his assistant will be former midfielder Maresca, who played under Pellegrini at Malaga. Maresca is currently on the coaching staff at Sevilla and has experience of English football having started his career with West Bromwich Albion. Maresca’s most successful spell came during his four-season spell at Sevilla – whom he joined from Fiorentina in 2005 for €2.5m - where he won five major trophies: two UEFA Cup’s, Copa del Rey, UEFA Super and Supercopa de Espana. He scored twice in the 2006 UEFA Cup final victory over Middlesbrough where he was made Man of the Match, donating the €10k prize money to the San Juan de Dios hospital in Seville. Maresca then went on to spend a season in Greece before returning to Spain in January 2011, where he helped guide Malaga to fourth place, their first Champions League qualification in their history. The midfielder then completed his career back in his homeland with spells at Sampdoria, Palermo and Hellas Verona.